Mains studied to be a lawyer, but ended up as a banker with large regional firms like PNC and National City. He was a vice president of special assets, dealing with commercial loans for multifamily housing units. The work took him and his wife to the Louisville metro area, and while expecting a child in December 2006, they bought a home across the river, in Jeffersonville, Indiana. Washington Mutual, at the time one of the largest lenders in America, issued the mortgage. He finally defaulted in the spring of 2009. Mains joined the FDIC in August of the following year, still in the middle of the legal fight. “I disclosed to them I was working with my [loan] servicer, and that I thought I would reach resolution,” he said. Mains became a team leader with the Division of Resolutions and Receiverships in Dallas, ironically the same division that dismantled Washington Mutual when it failed in 2008, eventually selling it off to JPMorgan Chase. Shutting down banks kept Mains on the road, living out of hotels most of the time, away from the house that started this whole thing. Though Mains had always sent his payments to Washington Mutual, Chase Home Finance sent the default letter to him, claiming it was his new loan servicer. And when Mains finally received a foreclosure notice in 2010, the plaintiff was Citigroup, as a trustee. Despite a career in banking, Mains was unable to sort out a seemingly simple question: Who did he owe money to? He wasn’t alone in his confusion. From 1998 to 2006, trillions of dollars worth of mortgages were sold to Wall Street banks, then packaged and distributed as mortgage-backed securities (MBS) around the world, a process known as securitization. In this case, Washington Mutual sought to package Mains’s loan into a trust known as a REMIC (Real Estate Mortgage Investment Conduit). This REMIC trust, WAMU HE-2, is overseen by a trustee, Citigroup, which holds ownership on the loan, with the income stream from mortgage payments flowing to investors. The servicer, Chase, collects monthly payments to distribute to investors, and performs day-to-day operations on the mortgages. However, some homeowners and experts have charged for years that banks botched the securitization process. To comply with the law and be eligible for its tax benefits, all assets must be physically conveyed into trusts within 90 days of their inauguration. That includes the original documentation on all mortgage transfers, which make up the “chain of title”—the history of ownership—from the initial lender to the trust. If that documentation doesn’t exist, the trust does not hold title on the loan and therefore cannot foreclose. In other words, in their haste to turn mortgages into securities, banks may have flaunted the rules so aggressively they lost their right to collect mortgage payments. By now many Americans are familiar with the “robo-signing” scandal and the mortgage industry’s mass production of false documents. According to Mains and his compatriots, the reason for this sort of fraud is obvious: Without fakery, the banks had no way to prove they actually owned the mortgages. When Mains first explained this to his lawyer, “she thought I was a Looney Tune,” he said. And all of this can sound to some like a mere technicality. But there’s quite a bit of evidence underlying his theory. Trustees have zealously restricted access to loan data, but in a 2013 case called Phoenix Light v. JPMorgan Chase, investors surveyed the transfer history for 274 loans in a Chase trust, and found that none of the mortgages and notes were conveyed properly before the closing date. A 2012 case against Barclays Bank looked at three other securitizations, similarly finding that 99 percent of the mortgages were either unassigned to the trusts or assigned improperly. The principle of privity—that nobody can sue on a contract to which they were not a party—has a pedigree of over three centuries, reaching back to the 1677 Statute of Frauds. And failing to honor it can lead to chaos, like multiple banks trying to foreclose on the same mortgage, or a bank foreclosing on homes without a mortgage. Citigroup abruptly withdrew Mains’s foreclosure in late 2010 and did nothing for two and a half years. When they re-filed for foreclosure in February 2013, Mains contested it, arguing the documentation was falsified to paper over the ownership questions. Citi produced an assignment of mortgage dated two years after the REMIC trust’s 90-day window closed. 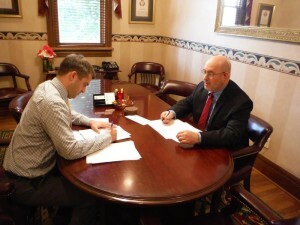 Plus, the assignment claims to transfer a “deed of trust,” even though those are not allowed in the state of Indiana. In court, Citigroup introduced Mains’s promissory note, endorsed by a woman named Cynthia Riley who was no longer working for Washington Mutual at the time he purchased his loan. “One can imagine how impressed Mains was with Ms. Riley’s work ethic,” he wrote in his lawsuit, “in that she apparently decided to sneak back in the office for a day sometime after December 20, 2006 and make sure she personally endorsed Mains’s note even though no longer employed as a bank officer or authorized to sign for WaMu.” The assignment also featured a robo-signer named Jodi Sobotta, who signed countless documents as a JPMorgan Chase officer despite being employed by Lender Processing Services, a document manufacturing company. Despite this evidence suggesting plenty of shady behavior, Mains suffered a string of losses in Indiana, where lenders must file foreclosures in court. Citi won summary judgment (essentially a ruling) in May 2013. Mains lost a motion to correct the judgment, and then lost again at the state court of appeals. He filed a motion to transfer to the Indiana Supreme Court on due process and equal protection grounds, but they denied the request. Results like that are not an anomaly. In 2012, state and federal regulators opted against prosecuting the misconduct of banks and instead completed the National Mortgage Settlement. The settlement fined five big banks $25 billion but allowed them to pay much of it through routine activities they would likely perform anyway, or with other people’s money. With few exceptions, judges have been extremely reluctant to rule that trillions of dollars in mortgage securities are effectively nonexistent. “Courts are able to come up with escape routes to avoid tackling the bigger issue,” said Tom Adams, an attorney and securitization expert with the New York firm Paykin, Krieg & Adams. “Generally, that’s what judges do—address the least big legal issue that resolves the matter.” The upshot of this is that falsified mortgage documentation continues to be produced for foreclosure cases around the country—and almost everyone has collectively decided that’s not a problem. Regardless, people like Eric Mains continue to fight, with scattered success. Last month, a woman named Alena Hammer of DuPage County, Illinois, won a $2 million jury verdict by arguing improper foreclosure proceedings and consumer fraud. Los Angeles homeowner Tsvetana Yvanova is suing her bank in the California Supreme Court for failing to prove standing to foreclose, and she got an amicus brief of support from Kamala Harris, the state’s attorney general. Mains’s current strategy is to fight absurdity with absurdity. In February, he rescinded, or canceled, the original loan. The Truth in Lending Act allows for rescission within three days of consummation of a mortgage, and within three years if there are undisclosed violations of the law—meaning ordinarily Mains would have no grounds for rescission. But he believes that, since the various banks cannot provide proper documentation, they cannot prove when the loan was consummated, giving him the ability to opt out whenever. This theory of rescission, which basically reverses the transaction and allows borrowers to get another mortgage to stay in their homes, gained traction after the Supreme Court ruled in Jesinoski v. Countrywide Home Loans this January that a borrower can bail simply by mailing notice to the lender within the stated time frame, rather than having to file a lawsuit. But Citigroup’s lawyers argued in a letter that they would ignore the rescission because it wasn’t timely. Mains believes this violates the Fair Debt Collections Practices Act because they are attempting to collect money they have no right to. In a federal lawsuit against JPMorgan Chase, Citigroup, Lender Processing Services (now known as Black Knight Financial Services) and several law firms acting on their behalf, Mains is alleging violations of the Real Estate Settlement Procedures Act, the Truth in Lending Act, the Fair Debt Collections Practices Act, Indiana Common Law Fraud, along with counts of negligent misrepresentation and intentional infliction of emotional distress. “This is a real kitchen sink,” said Adams, the securitization expert. Mains is even accusing the defendants of violating the Racketeer Influenced and Corrupt Organizations (RICO) Act, designed to fight organized crime. The lawsuit claims the various companies involved in Mains’s loan acted as a criminal enterprise, “which committed fraudulent acts and attempted to collect on unlawful debt.” RICO laws were recently (and controversially) used to convict teachers and school administrators in Atlanta of cheating on standardized tests, but they have rarely been employed against the banking industry. 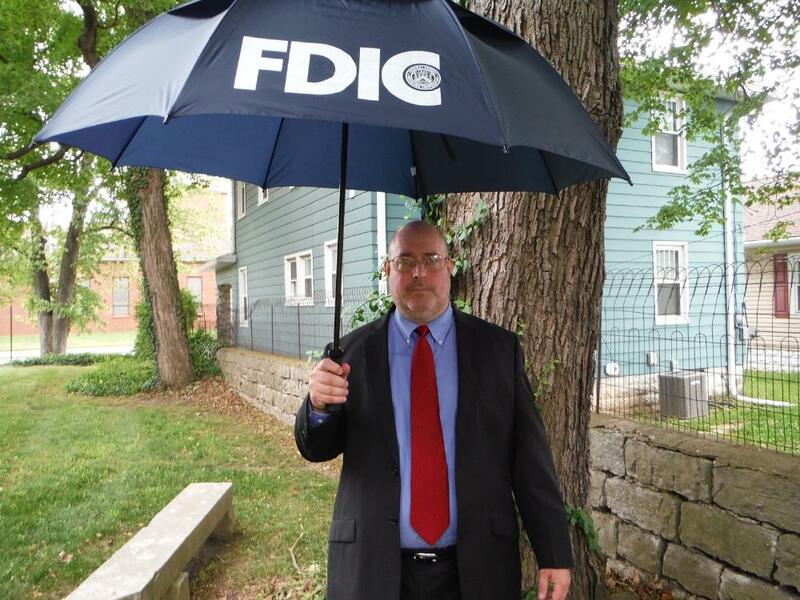 Washington Mutual was initially a named defendant, and Mains decided to quit his job because he believed the FDIC, who put Washington Mutual in receivership, could be pulled into the case. “If I’m going to pursue this, it’ll be public knowledge,” Mains said. “I can’t be suing my employer.” Mains posted a long explanation of his actions at the anti-foreclosure website Living Lies. “The court system failed homeowners, the (attorneys general) failed them, and the major media outlets most certainly have failed them,” he wrote. Mains added that Chase, Citigroup and the others in this case had years to correct their practices and submit documents that passed muster. Instead, despite all the settlements, all the promises to clean up their acts, he believes they committed fraud and forgery on top of fraud and forgery, and tried to flush it through the system. It’s as if two countries at war signed an armistice, but one side kept dropping the bombs anyway. And people like Eric Mains, stuck in their foxholes, keep fighting the war. Because to them, it never ended.